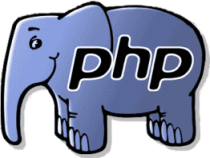 This utility will generate PHP getter and setter methods for all the private and protected members of a class. Simply paste the class into the textbox and click "Generate". These methods are used a lot in the Java world. They are simple methods that allow you to get and set the properties of a class. The properties are stored as privately-scoped fields inside of the class. It's good practice to use them because as long as the signatures of the getter/setter methods don't change, you can make modifications to the class's fields without breaking any of the code that uses your class.